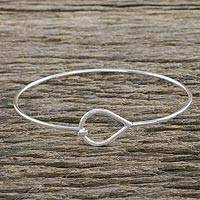 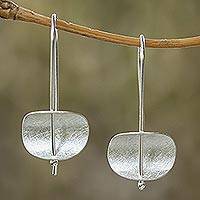 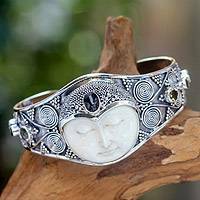 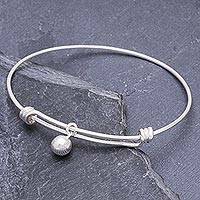 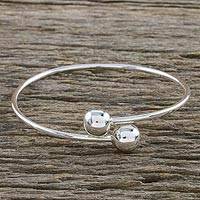 Handcrafted Sterling Silver Bangle Bracelet from Thailand, "Silver Eye"
A talented Karen hill tribe silversmith handcrafts this bangle bracelet. 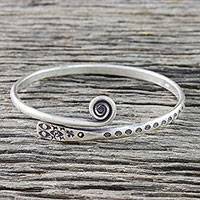 Designed by Achara of Thailand, the sterling silver bracelet is decorated with a spiral pendant and stamped floral motifs. 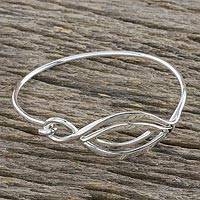 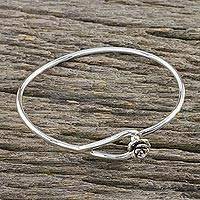 Sterling Silver Wire Bangle Bracelet with Eye Pendant, "Graceful Eye"